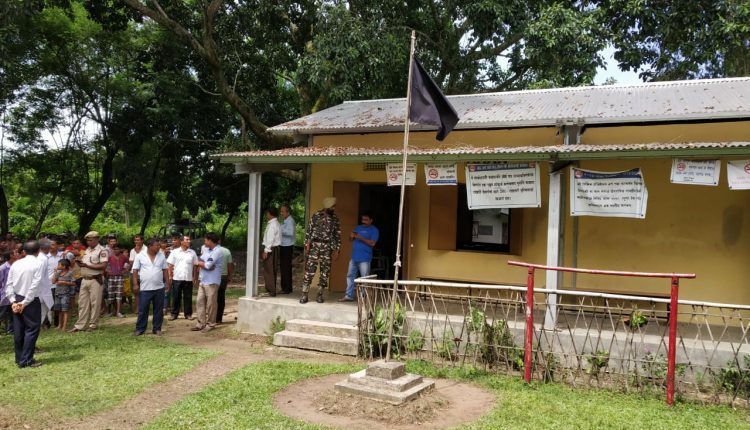 Amidst the tight security arrangement for Independence Day, miscreants hoisted a black flag in the premises of Milanjyoti M E school at Amjuli area around 20 kms towards north-west of Udalguri along the Indo-Bhutan border in Assam on Wednesday. Ahead of the hoisting of the tricolour, the locals spotted an unfurled black flag following which the school authorities reached the spot and brought down the flag. The authorities suspect it to be handiwork of miscreants. The Harisinga police led by Additional Superintendent of Police,Abhijit Gaurav took the flag in their custody. Police sources, however, chose not to comment on the matter as the whole incident is under investigation. The role of the outlawed rebel outfits who have active presence in the Indo-Bhutan border areas cannot be ruled out in the incident.